I was watching a thing a while back about it & there all like "a squid can't possibly lift a tentacle up out of the water so thus The Kraken can't possibly exist"
You know what can lift it's tentacles out of the water & even hunt on land? An Octopus! 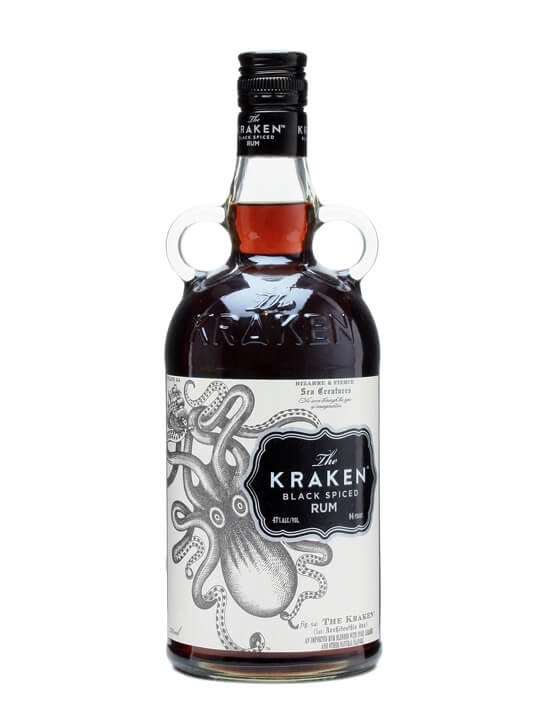 So why have I never once heard of The Kraken refered to as a possible Octopus? Edited by JustSomeGuy, 10 February 2017 - 03:11 PM. Because of Herman Melville and most especially Jules Verne. The folklore that the creature and name come from suggest a whale. I always thought it was a giant octopus, either Enteroctopus dofleini or a new unidentified species. I'm not sure. I think Jules Verne classified it that way if I remember, and it's been known to be so since then. If you remember, Pirates of the Caribbean had it as an octopus. 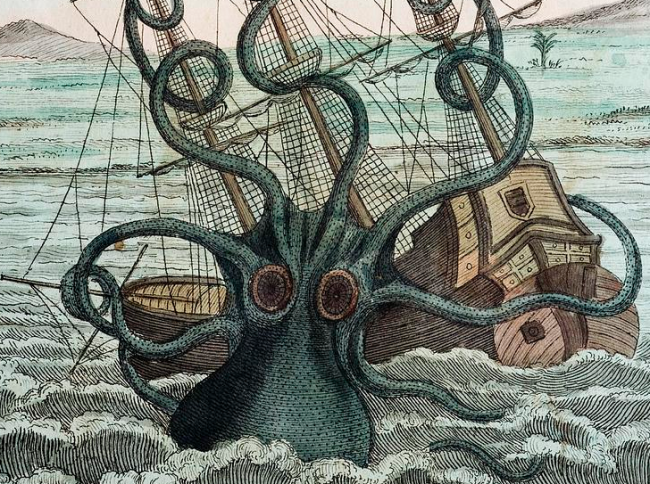 If you take into account of the size of the sailing ships of yore and compare it to the largest recorded octopus, it seems that it could be capable of sinking a ship. Take for instance the Mayflower. The ship was 180-tons(163,293.2kg), with a 100-feet(30m) in length and only 25-feet(7.6m) in width. The largest octopus had a arm span of 30-feet(9.8m). It could have easily wrapped it's arms around the center of the ship. Now when it comes to the suckers, the average octopus has 240 suckers per arm and each sucker can support the weight of 35-lbs(15.87573kg), that's 8,400-lbs(3810.17kg) of weight per arm. So, with all arms engaged, it could support 67,200-lbs. (30481.4kg) total. To sink a 180 ton ship, it would only need to apply pressure enough, to make a decent-sized crack in the hull and the ship would go down. I think that you're correct. There's a really cool book called "The Soul of an Octopus" which describes how unbelievably smart they are. We're scientifically not allowed to test them without anesthesia because of their intelligence and sensitivity. How cool is that? So, if anything could do the type of damage and intentional destruction that the myths discuss, I would put my money on an octopus. They also are little escape artists, so do not make good pets. Edited by MacCionoadha BeanSidhe, 07 September 2017 - 03:33 PM. Well, I wouldn't want its arms around me. And the first thing I thought of was a giant squid. Although I don't think an octopus or a squid look anything alike. Long arms, big eyes. Monsters of the deep. I thought it's a myth associated with the existence of giant squid. Edited by Vlawde, 21 December 2017 - 06:17 PM. Edited by Vlawde, 22 December 2017 - 10:14 AM.